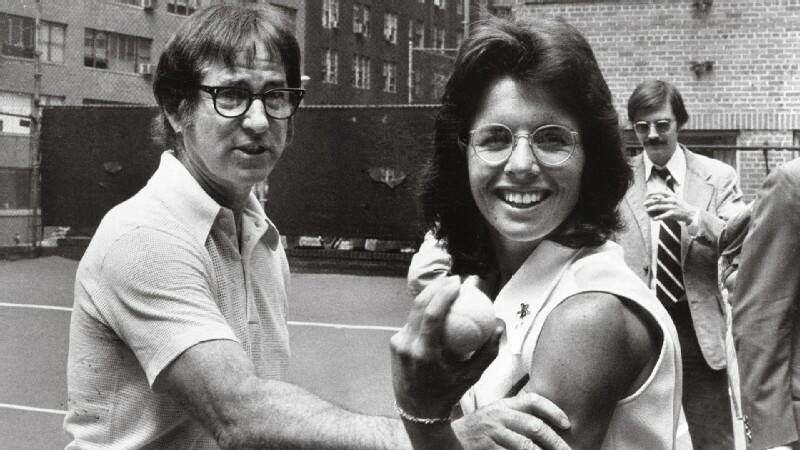 On Sept. 20, 1973, Billie Jean King defeated Bobby Riggs in just three sets in what become known as the "Battle of the Sexes." King's victory is considered a milestone in women's tennis. 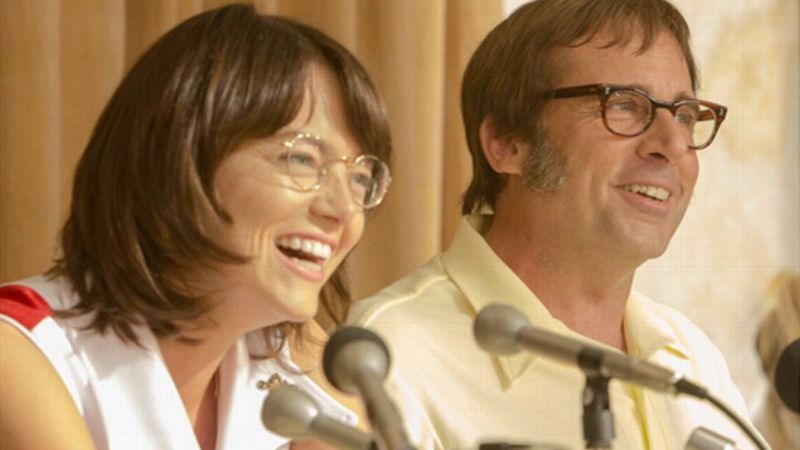 Actors Emma Stone and Steve Carell take on the role of Billie Jean King and Bobby Riggs, respectively, and recall what that experience was like. 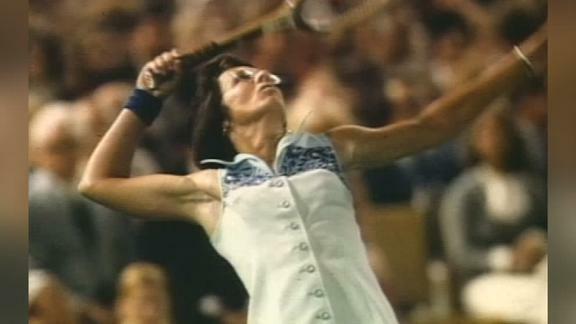 On Sept. 20, 1973, Billie Jean King played Bobby Riggs in the Battle of the Sexes. Pam Shriver, who would go on to win 21 major doubles titles, was 11 at the time. She recalled for espnW her memories of that day. Living in Baltimore at age 11, I was still not single-focused on tennis. I still played other sports. It was becoming a bigger part of my life, but it was still mainly my summer hobby. I was starting to play some state tournaments, maybe I played one national tournament. But in the scheme of how the top 11-year-olds train these days, I didn't play anywhere near the amount of tennis. When I was 13, tennis became more of my life. It's when I gave up skiing, I gave up winter sports. I still played varsity basketball my freshman year of high school -- basketball was the last sport I gave up for my tennis. But when I was 13, I think that was the year that, behind Tracy Austin, I had become ranked nationally. So that was a big, important year -- to know that I was elite not just in Maryland or in mid-Atlantic or in my USTA section, but nationally, I was starting to get on the map. I remember a tremendous lead-up to Battle of the Sexes. I have a July birthday, so I remember my godmother gave me a birthday present -- she may have made it herself from newspaper article clippings about the match that was coming up. The Margaret Court match had already happened, and she lost (to Riggs) -- that was Mother's Day that year. So all summer of '73 was this build-up. When I saw the "Battle of the Sexes" movie on Saturday, I was prompted to remember certain things. They reenacted certain media conferences, their repartee, the way Bobby would needle and dig about women's tennis and women and where they belonged. I can remember that, I can't say at 11 I had a real sophisticated response or feeling to that. The night of the match in 1973, we had a babysitter, and my parents went to the tennis club. I think every tennis club had a mini event around the match. My older sister was 13, I was 11, and then we have a baby sister who's eight years younger, so she was too young to remember. I can remember watching the match. One of the things that stood out to me was Howard Cosell putting his arm around Rosie Casals -- I can remember just how weird it looked. Being a professional broadcaster, obviously she had an opinion too. She was Billie Jean's closest friend and doubles partner. But I was like, '"That is an odd pose." And now, being in the broadcast business, can you imagine opening an on-camera with your broadcast partner like that? I remember the stories of Riggs taking all the supplements, and I also can recall the word about how hard Billie Jean trained for the match. While I certainly had experienced feeling pressure on the tennis court, like playing somebody I knew I should beat or playing somebody I really wanted to beat, I was at the beginning of really understanding pressure to win, and I certainly knew that Billie Jean felt the world of pressure on this match. Especially after Margaret Court got demolished. I remember how routine the win was in the end, and that Billie Jean played Billie Jean tennis, which was work the ball, get to net, really good tactics from the net position, drop shots -- a smart match. And to be honest, afterward, I'm not even sure I was awake when my parents got home. It was past bedtime. 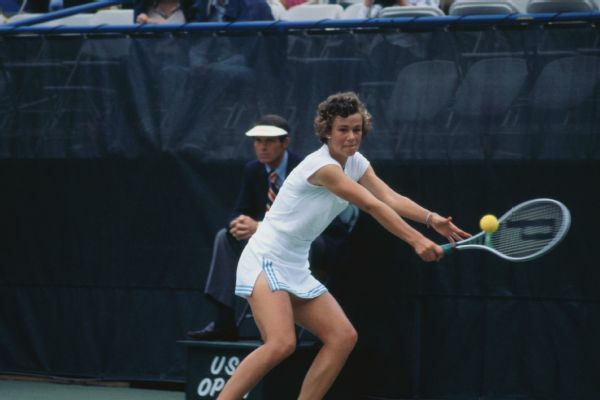 At age 16, Pam Shriver upset Martina Navratilova in the semifinals of the 1978 US Open to advance to the final, where she fell to Chris Evert. When I started playing the Tour four years later, the spirit from that match and what it stood for definitely influenced my career. I feel like even though I wasn't a peer of Billie Jean's, I was a disciple. I was like somebody who was influenced and felt part of what I needed to do was carry it forward. Eventually I ran for the board of the WTA, lost my first attempt, got on the board my second attempt, and stayed there through most of my career. I became president of the players' association and was willing to have conversations with influential people about equal prize money or how the tour could be promoted and structured in a way to make women's tennis better. The reason Billie Jean's situation was so special was because she combined the dedication and the leadership off-court with a resume on court that, among her peers, was the best. If she was No. 10 in the world, this would never have happened. If she was No. 5 in the world, this never would've happened. She needed to be the best of her era. That's what made it special -- somebody with her ability to win, who was willing to do the work, the promotion, the leadership off-court to make this happen. I saw the premier of "Battle of the Sexes" on Saturday night. It was great. Everybody was there. I'd been invited to a couple of screenings, and I didn't realize that this was the L.A. premiere. The whole cast was there -- Emma Stone, Billie Jean King, the "Original Nine." I took my 11-year-old daughter, who's at the same age I was when the match was played in '73, so that's kind of cool. And when Bobby Riggs stated in the movie that he's 55 years old, I was like, "Oh, that's my age." So I had all these interesting personal parallels to make. She's probably a little young, but for the most part, my daughter enjoyed it. She chose Billie Jean King as her second-grade biography subject, so she went to school as Billie Jean King and presented her life story to her classmates and to parents. She went with me to her 70th birthday party in 2013. She sort of had this understanding and exposure about what Billie Jean represents, what she did off the court, on the court, that she's still a vibrant person.